The state of California has the largest prison population in the United States. Currently, there are 135,981 sentenced male and female offenders, who are incarcerated in adult or juvenile facilities throughout the state. Over the next three years, the California Department of Corrections and Rehabilitation expects to hire approximately 7,000 officers due to staffing retirement, attrition, and expansion. For applicants, this means that career opportunities for growth and mobility are increasing steadily. Correctional officers are needed at the local, state, and federal level - additionally, California also houses a number of inmates at out-of-state facilities. Facilities such as Central California Women's Facility (CCWF) and Folsom Women’s Facility (FWF) have a gender-responsive approach to corrections and as such, employ many female officers. Such as with the rest of the country, BLS forecasts predict that industry growth for correctional officers will continue to be steady, around 5%, over the next decade. Read further to discover more information about the field of corrections and to determine if the dynamic career of correctional officer interests you. American River College ranks first in our latest rankings with 2,637 students completing programs in criminal justice out of a total 13,440 students in the 2012-2013 school year. East Los Angeles College ranks 2nd in our rankings with 884 students graduating from programs in criminal justice and corrections out of a total 7,746 students from the 2012-2013 school year. Santa Rosa Junior College ranks third in our latest rankings with 947 students graduating from programs in corrections and criminal justice out of a total nine thousand graduates. San Diego State University-Imperial Valley Campus ranks 4th in our latest rankings with forty-five students graduating from programs in criminal justice out of a total 500 students from the 2012-2013 school year. Napa Valley College ranks 5th in our rankings with 114 students completing programs in criminal justice out of a total 1,468 graduates in the 2012-2013 school year. East San Gabriel Valley Regional Occupational Program ranks sixth in our rankings with 87 students completing programs in criminal justice out of a total a thousand graduates. 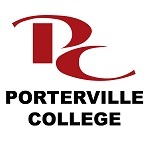 AS-T (transfer) in Administration of Justice: The Associate in Science in Administration of Justice for Transfer at Porterville College is designed to prepare students to continue studies toward a B.A. or B.S. degree in Administration of Justice or for entry-level into a variety of career options. Students who pursue an Administration of Justice degree enjoy a wealth of career options including law enforcement, probation, and parole. They work in multiple specialty areas including detectives, S.W.A.T., narcotics, K-9 handler and motors officer. Students must satisfy both of the following requirements in order to earn the Associate in Science in Administration of Justice for Transfer degree: Program Learning Outcomes: By the completion of the degree the student will be able to identify the procedures involved in the justice system from arrest to release; identify how the criminal justice system works as a system; identify the importance of the inter-cooperation of all three parts of the criminal justice system; identify the steps that are taken from the point of arrest by the police officer to the release of the defendant from prison. Program Learning Outcomes: Identify the procedures involved in the justice system from arrest to release; identify how the criminal justice system works as a system; identify the importance of the inter-cooperation of all three parts of the criminal justice system; identify the steps that are taken from the point of arrest by the police officer to the release of the defendant from prison. Los Medanos College ranks eighth in our latest rankings with 168 students completing programs in criminal justice out of a total 2,736 students. Hartnell College ranks 9th in our rankings with 108 students graduating from programs in criminal justice out of a total 1,872 students from the 2012-2013 school year. Humphreys College-Stockton and Modesto Campuses ranks tenth in our latest rankings with twenty-seven students graduating from programs in corrections out of a total 522 students from the 2012-2013 school year. Southwestern College ranks eleventh in our rankings with 107 students graduating from programs in corrections and criminal justice out of a total 2,188 graduates in the 2012-2013 school year. Evergreen Valley College ranks 12th in our rankings with fifty-eight students graduating from programs in criminal justice out of a total 1,226 graduates from the 2012-2013 school year. Imperial Valley College ranks thirteenth in our rankings with 107 students completing programs in corrections and criminal justice out of a total 2,342 graduates from the 2012-2013 school year. Woodland Community College ranks 14th in our rankings with 14 students completing programs in criminal justice out of a total 320 students from the 2012-2013 school year. College of the Desert ranks 15th in our rankings with 73 students graduating from programs in criminal justice out of a total a thousand students. Since 1925, Lassen Community College has been a fixture in Susanville, California. A public, 2-year college, Lassen Community College's mission is to provide excellence in certificate and degree programming at the associate's and bachelor's level. Students who are interested in becoming correctional officers are encouraged to apply to the Correctional Science certificate program. With a mixture of practical and academic courses, graduates are certified to apply to the state's corrections recruitment officer. Rio Hondo College ranks seventeenth in our latest rankings with 95 students graduating from programs in criminal justice and corrections out of a total 2,310 graduates. College of the Sequoias ranks eighteenth in our rankings with 115 students graduating from programs in criminal justice and corrections out of a total 2,864 students from the 2012-2013 school year. California State University-Bakersfield ranks nineteenth in our latest rankings with 145 students graduating from programs in criminal justice out of a total 3,786 students from the 2012-2013 school year. Gavilan College ranks twenty in our latest rankings with fifty-six students completing programs in criminal justice out of a total 1,526 graduates from the 2012-2013 school year. College of San Mateo ranks twenty-first in our rankings with 91 students completing programs in criminal justice out of a total 2,570 students. Moreno Valley College is a fixture in the city of Moreno Valley, California. A public 2-year college, MVC enrols over 7,000 students each semester for a variety of certificate programs and associate's and bachelor's degrees. When considering a career in corrections, students are encouraged to consult the college's Law Enforcement Department as in partnership with the state of California, MVC's Correctional Deputy Academy is certified by the State Department of Corrections. California State University-Sacramento ranks twenty-third in our latest rankings with 471 students completing programs in criminal justice out of a total thirteen thousand graduates. California State University-Stanislaus ranks twenty-fourth in our rankings with 137 students graduating from programs in criminal justice out of a total three thousand graduates in the 2012-2013 school year. Merced College ranks 25th in our rankings with sixty-four students graduating from programs in criminal justice and corrections out of a total a thousand graduates. Butte College ranks 26th in our latest rankings with 208 students graduating from programs in criminal justice out of a total six thousand students from the 2012-2013 school year. Sacramento City College ranks 27th in our latest rankings with 133 students completing programs in corrections and criminal justice out of a total four thousand students from the 2012-2013 school year. Since 1945, Solano Community College has been a notable institution in the city of Fairfield, California. With almost 11,000 students enrolled annually, the college boasts numerous certificate, associate's and bachelor's degree programs and offerings. Students who are interested in pursuing a career in corrections are advised to contact SCC's Criminal Justice Department to learn about program requirements and opportunities upon graduating. Ventura College ranks 29th in our rankings with 108 students completing programs in criminal justice out of a total three thousand graduates from the 2012-2013 school year. Copper Mountain Community College ranks thirty in our latest rankings with fifteen students completing programs in criminal justice out of a total 466 students from the 2012-2013 school year. California State University-San Bernardino ranks 31st in our latest rankings with 251 students graduating from programs in criminal justice out of a total 8,006 students from the 2012-2013 school year. 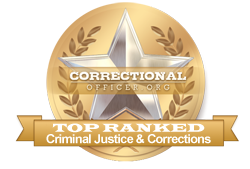 Taft College ranks 32nd in our latest rankings with twenty-four students graduating from programs in corrections and criminal justice out of a total 768 students in the 2012-2013 school year. Antelope Valley College ranks thirty-third in our rankings with ninety-four students graduating from programs in criminal justice out of a total 3,018 graduates from the 2012-2013 school year. Diablo Valley College ranks thirty-fourth in our rankings with 139 students graduating from programs in corrections and criminal justice out of a total four thousand graduates. San Jose City College ranks 35th in our latest rankings with 54 students graduating from programs in criminal justice out of a total 1,758 students from the 2012-2013 school year. San Bernardino Valley College ranks 36th in our latest rankings with 73 students graduating from programs in criminal justice and corrections out of a total 2,448 students. San Diego Miramar College ranks 37th in our rankings with sixty-three students graduating from programs in criminal justice and corrections out of a total two thousand graduates. El Camino College-Compton Center ranks thirty-eighth in our rankings with 22 students graduating from programs in criminal justice out of a total 754 students in the 2012-2013 school year. Los Angeles Southwest College ranks 39th in our latest rankings with 18 students graduating from programs in criminal justice out of a total 628 graduates from the 2012-2013 school year. Since the 1950s, Merritt College has been at the center of efforts to bring affordable, accessible education opportunities to the people of Oakland, California. A public, 2-year institution, Merritt College offers a variety of degree and certificate programs to its students both in person and online. Students interested in pursuing a career in corrections are encouraged to apply for the Administration of Justice program. Successful completion ensures that students can apply to a corrections recruitment program, or continue their education using Merritt's accreditations toward further degrees. Barstow Community College ranks 41st in our latest rankings with 14 students graduating from programs in criminal justice out of a total 504 students in the 2012-2013 school year. Citrus College ranks 42nd in our latest rankings with 105 students completing programs in criminal justice out of a total 3,786 graduates. Victor Valley College ranks forty-third in our latest rankings with seventy-three students graduating from programs in criminal justice out of a total two thousand students from the 2012-2013 school year. Located in San Pablo, California, Contra Costa College has been an institution of note since 1949. With just under 8,000 students enrolled in a variety of certifications, associate's and bachelor's degree programs, CCC is a key player in supplying San Pablo with career-ready individuals. Students who are interested in a career in corrections are advised to contact CCC's Law Enforcement Training Center for important information regarding high quality, cutting edge training for law enforcement professionals. California State University-Los Angeles ranks 45th in our latest rankings with 252 students completing programs in criminal justice out of a total 9,654 students in the 2012-2013 school year. College of the Redwoods ranks 46th in our latest rankings with twenty-nine students graduating from programs in law enforcement administration and criminal justice out of a total 1,168 graduates from the 2012-2013 school year. Fullerton College ranks forty-seventh in our latest rankings with seventy-six students completing programs in criminal justice out of a total 3,088 students from the 2012-2013 school year. California State University-Dominguez Hills ranks 48th in our rankings with 155 students graduating from programs in criminal justice out of a total six thousand graduates. California State University-East Bay ranks 49th in our latest rankings with 180 students graduating from programs in criminal justice out of a total seven thousand graduates. Lake Tahoe Community College ranks 50th in our rankings with 9 students completing programs in criminal justice and corrections out of a total 398 graduates from the 2012-2013 school year. U.S. citizen, or permanent resident alien who is eligible and who has applied for citizenship at the time of application. Legally able to own and control a firearm or other weapon. With successful completion, candidates may be hired immediately or placing on a hiring list in order to fill positions throughout the state. Prior to their first permanent posting, candidates must complete a 4-month training program through the Basic Correctional Officer Academy located outside of Sacramento. Only upon successful completion of this course will candidates be considered ready to work. One of the ways that the state of California serves and supports correctional officers is through strong growth and salary opportunities throughout the state. As such, the median income for front-line correctional officers throughout the state is much higher at $75,300 than the median income at $39,800. According to the occupational profile for the state of California found at http://www.careerinfonet.org/occ_rep.asp?next=occ_rep&Level=&optstatus=011000000&jobfam=33&id=1&nodeid=2&soccode=333012&menuMode=&stfips=06&x=43&y=7 and published by CareerInfoNet.org, state and national trends predict a 6% and 5% increase in correctional officer jobs by 2022 respectively, indicating that state growth is faster than national growth. For residents of California, this rate translates into 1,220 job openings per year. The table below lists career information collected by the Bureau of Labor Statistics for correctional officers in California. The table is sorted by total employment, with the largest metropolitan areas listed first.